The Mothercare Black Friday event will be taking place in November annually, this is going to be an epic day where the store will offer you many promotional sales. BF is huge in USA, and when it was introduced here in the UK in 2014 it went down very well, so well it is estimated to drive even more sale this year for retailers. In previous years Mothercare had some amazing Black Friday deals, the offers were welcomed with open arms by its customers. There will be many discounts across its 389 stores in United Kingdom and online. You can shop for many products under categories such as Christmas, clothing, maternity, pushchairs, as well as Mothercare toys, nursery furniture, car seats, gifts and much more. So if you’re looking for a great bargain like a new pram and pushchair travel system, look no further than BF UK where we will be showing you all the Black Friday discounts below and in our dedicated deals section. 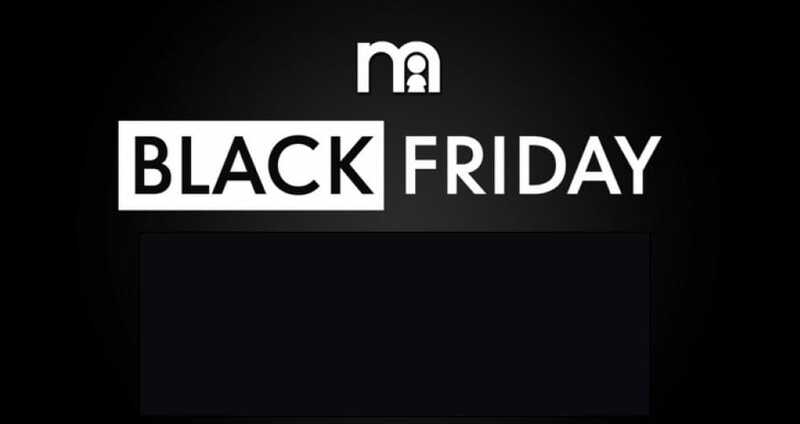 The official Black Friday Hub for Mothercare Black Friday Deals are now live for everyone. Head on over to the Mothercare website because the Exclusive Early Access Black Friday deals have just gone live for members only. Wow, Mothercare is selling this newly listed Nuna pepp luxx stroller in berry colour for just £125 instead of £275. Mothercare confirms that its Black Friday Sale for this month will start at midnight on the 23rd. Its countdown clock is already rolling down the time. The Mothercare website is offering a FREE Simplicity car seat worth £150 with a Silver Cross Wayfarer pram & pushchair. The Mothercare Black Friday sale and deals will be back on 24th November 2017. That means from today you have 150 days to go. I went into my local Mothercare (ELC) store and see the baby event is on. They are doing half price on toys at the moment. Add the item to checkout and then you will see the £50 discounted from the total. There are four Mothercare Roam pushchairs for sale thanks to Black Friday week. It says save £50 on these pushchaors and now only pay £199, but when I click on the link to buy the chair it still says £249. You can now save £75 on the Retro Diner Kitchen and only pay £75, now that is a great saving which I am taking part in thanks to ordering it. Loving the up to 60% off Mothercare toys, the Vtech Little Love 3-in-1 Pushchair is now only £19.99. The Mothercare Black Friday deals are now live and looking good, they end on November 28th. I see the preview but are these whats going to be included in the Black Friday deals? They are not showing the price cuts so i am guessing these are the 450+ items going on sale and the price cut will be added when live. Get a free Maxi-Cosi car seat with selected pushchairs, there is also 60% off selected toys, up to 50% off selected car seats and up to 30% off selected nursery furniture. The preview apparently ends on 20/11/2016, which is this Monday, which means it goes live then right the real Black Friday deals. The Mothercare Black Friday preview page is now live and they have some great deals coming. The Mothercare Big Home Event is on where you can save money, such as the Mothercare Camberley Cot Bed reduced from £260 down to £130. The official Mothercare Black Friday 2016 countdown timer has begun, only 29 days left peeps. Mothercare 50% off sale starts tomorrow July 1st, 2016. ENJOY. You can now get up to 30% off selected pushchairs and up to 50% off selected car seats at Mothercare online. The Mothercare Nursery event is now on and ends December 23rd, so hurry because yuo will save a lot of money. This event allows you to spend so much and get a percentage off. Head on over to Mothercare online now and check the big banner out. Mothercare online is offering customers up to 60% off selected toys, such as the ELC Wooden Dino Park Play Set which was £40, then it went down to £24 and now you can buy for only £16. I just got 60% off the ELC Rosebud School toy for my little girl, it was £60 but i paid £24, love the fact I saved £36. Just got 60% off the ELC Twist and Turn Activity House, it was £25 but i paid just £10. Cannot believe the Happyland Remote Controlled Race Track is out of stock already, that was quick. Have you any idea if Mothercare will have any Graco car seats on offer on BF day? I will be here waiting for the Black Friday online deals to begin, really need a few bits for new baby coming. Wahey, only 28 days, 11 hours, 27 minutes to go now for Mothercare Black Friday deals for 2015. The Happyland Country train set over on Mothercare has been reduced from £50 down to £20, will this be cheaper on Black Friday? Be good to see if Mothercare will be holding a deals week for Black Friday rather than just a weekend.